Almost a century ago, Russian botanist N.I. Vavilov was traveling the world in search of new species when he identified why equatorial rain forests are so critical to the Earth’s future: They’re the source-pool for 90 percent of the planet’s biodiversity. 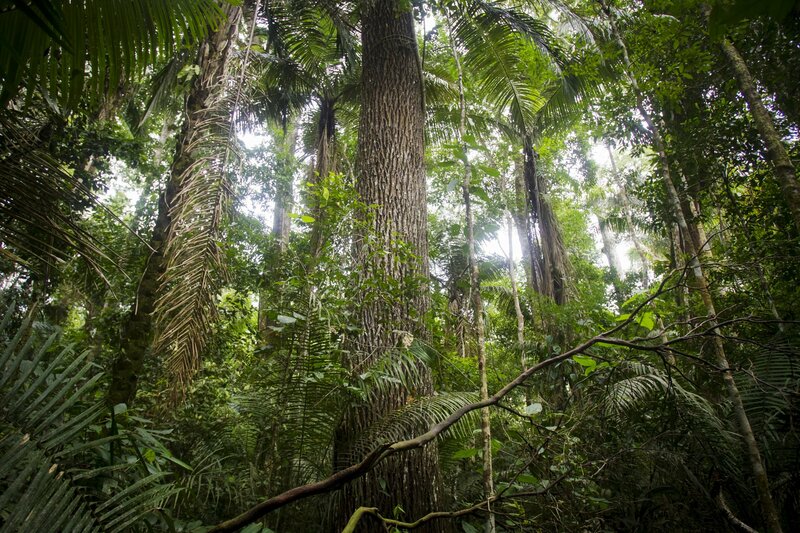 Rain forests have been the focus of global conservation efforts ever since. Today, as climate negotiators convene for the United Nation’s Climate Summit 2014 in Lima, Peru—a country that is dead-center in that genetically rich belt of land around the equator, now known as the Vavilov Centers—another scientist-adventurer is on the verge of again revolutionizing the world’s approach to rain-forest conservation. This time, the goal is to use the rain forests to help save the planet, by fortifying the role of rainforests as massive natural storage containers—or "sinks"—for the world’s most prominent greenhouse gas, carbon dioxide. Greg Asner, an environmental science professor at Stanford University and director of the Carnegie Institution for Science’s Airborne Observatory, spends about half of every year in the jungle or flying above it in his juiced-up Dornier 228 prop plane. From up in the air, Asner’s invention, the Airborne Taxonomic Mapping System, beams a pair of laser signals down at 500,000 pulses per second to measure the carbon embedded in the sinews of every tree, root and plant in the forest. 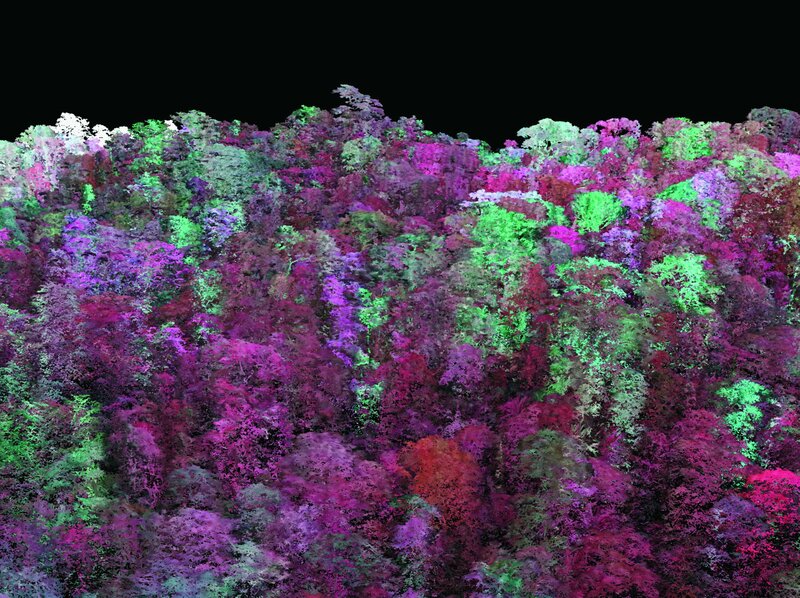 When the signal bounces back, an on-board spectrometer reads it and spits out color-coded results: Red signifies high levels of carbon concentration, signs of a healthy forest; browns signal a forest degraded through logging, mining or agricultural clearing; deep blues emanate largely from urban areas like Lima, signifying the absence of trees. Asner came to the climate conference to present his unprecedented accomplishment: the first high-resolution carbon map of an entire country. He documented the carbon sequestered in every one of Peru’s 128 million hectares (about 320 million acres), over half of which is forested. Asner’s invention has technological dazzle, but its significance lies in how it addresses one of the fundamental challenges that have long bedeviled climate negotiators. Deforestation, according to the U.N., accounts for about 15 percent of all greenhouse gases—more than car, air and ship travel combined. That’s because about half of the mass in trees is made up of carbon. Burn a tree or cut down a forest, and that carbon combines with oxygen to make carbon dioxide, the most prevalent of the five greenhouse gases. The world has a profound interest in keeping those trees growing; they’re the best natural system we have for sucking up carbon dioxide direct from the atmosphere rather than contributing to the greenhouse gas load. But since the first climate summit in Kyoto, Japan in 1997, negotiators have struggled over how to devise a reliable system for determining how much carbon is in all those trees—and thus how to measure, and value, the worth of keeping those trees standing. 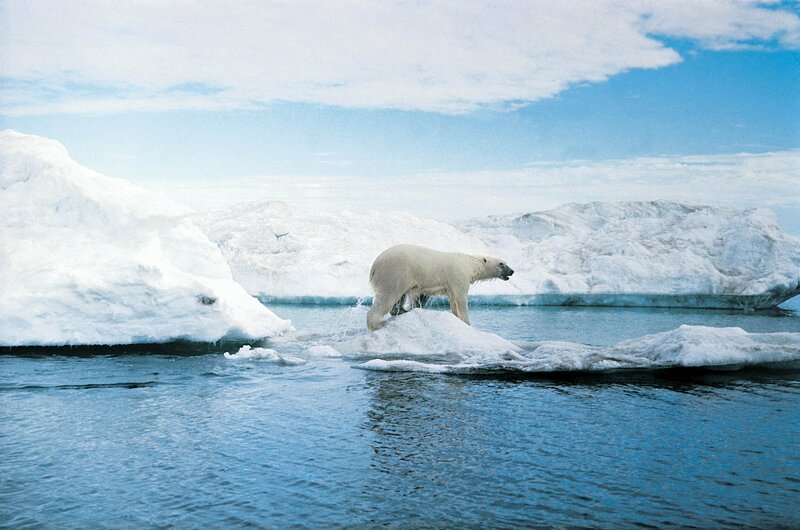 In the past, governments had to make an educated guess on the most likely areas for preserving a forest and its carbon. The lack of an organized, monitored system led to abuses. A new legal concept was created—‘carbon rights,’ which allows greenhouse gas–polluting companies to purchase the ‘right’ to preserve the carbon in trees as a way of offsetting their pollution back home. Fly-by-night companies began selling access to that ‘carbon’ in an unregulated market—leading to situations in countries like Liberia, Brazil and elsewhere, where land titles were unclear and with those claiming the land falsely stating that the forests were threatened and collecting funds to “preserve” them. A global strategy for preserving tropical forest ecosystems, known as REDD (Reduced Emissions from Deforestation and Forest Degradation) has been discussed for years. It’s an umbrella term denoting an effort by the U.N., as well as individual nations, to utilize public and private funding to reduce deforestation. However, implementation on a serious scale has been delayed by an inability to reliably measure the ebb and flow of carbon content in the many living organisms of a forest. Satellite photos see the forest in two dimensions, are difficult to monitor in real time and are often foiled by the heavy cloud cover common in tropical forests. 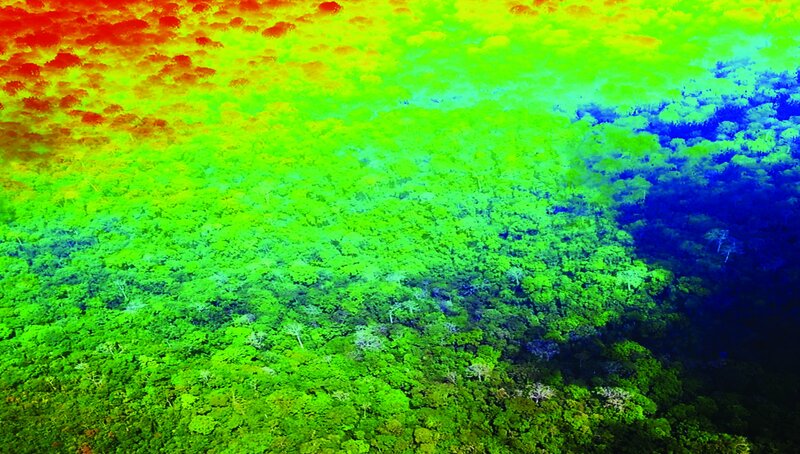 Asner’s laser system reduces the time lag significantly, can punch through the cloud layers, and it provides a three-dimensional view from the canopy on down to the ground. That latter element—what Asner calls an “MRI of the forest”—is critical to understanding the precise ways in which the dense lattice of a forest ecosystem is threatened by incursions and degradation. 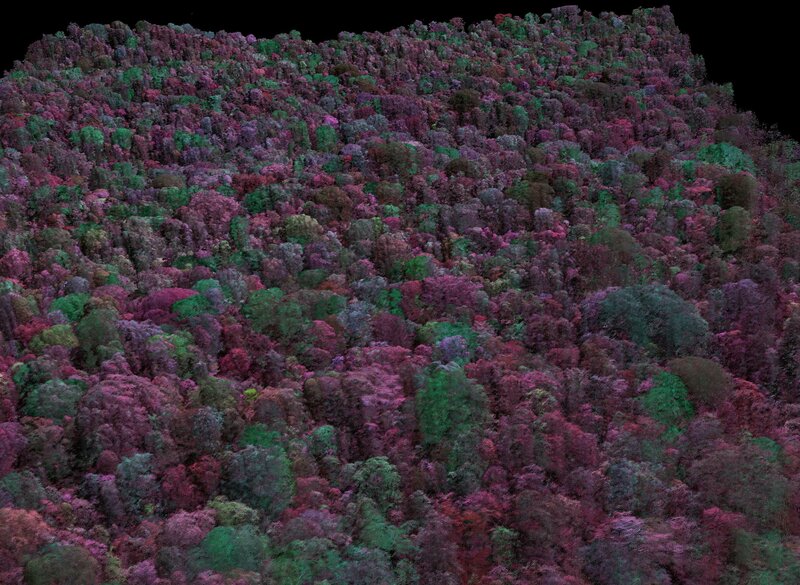 Asner’s software registers the density and volume of the trees and then sets to work calculating the carbon content of each forest quadrant. The maps make it possible to identify which lands are threatened by identifying the proximity of logging, road-building or other forms of development nipping at the edges of the country’s carbon-rich zones. One thing Asner discovered through his maps was that 1 billion tons of carbon, out of a total of 7 billion tons embedded in Peruvian forests, is at imminent risk of being emitted if current plans for logging, mining, oil drilling and land clearing for oil palm plantations move forward. That’s about 2 percent of the global emissions from all sources in 2013, in just one country. The good news is Peru has the money to prevent this destruction. In September, the Norwegian government promised $300 million in donations to Peru to enhance the country’s ability to protect its tropical forests, and the country committed to zero-net deforestation from agriculture by 2021. 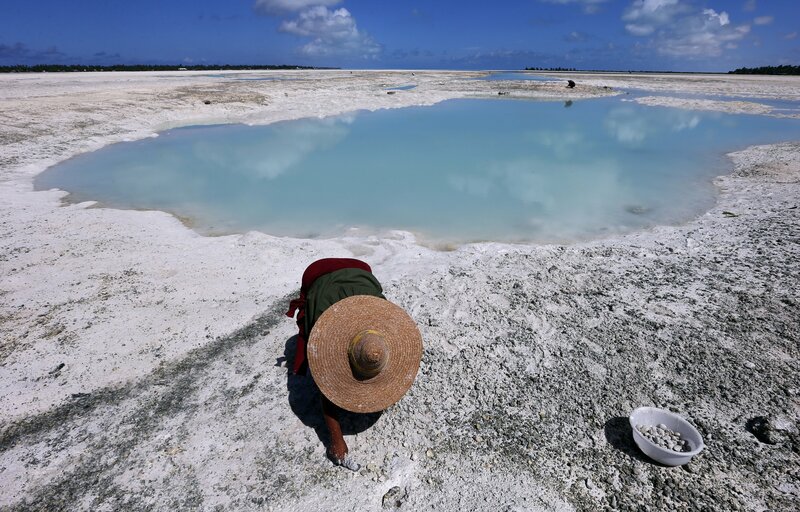 More funding will likely come to Peru and other countries through the U.N.’s new Green Climate Fund, which has received $10 billion in funding, including $3 billion promised by President Obama last month. One criterion for obtaining those funds will be a clearly articulated baseline of forest carbon, which Asner’s laser system is poised to provide. While Asner’s carbon maps represent a significant advance in carbon-measuring, real obstacles remain for REDD. Or, more precisely, on REDD+—the ‘plus’ was added during the 2010 climate negotiations in Cancun, Mexico, when the UN expanded the principles of forest conservation to include support for the sustainable development of forest-dwelling people, who until then were little more than an after-thought for negotiators. Millions of people live in the rain forests around the world, and study after study has shown that the parts of the tropical forest where they live are the best preserved—a result of a lifestyle where forest resources are both utilized and conserved for future generations. Yet a cruel irony is that many forest carbon preserves thus far have resulted in limiting access to lands long inhabited by indigenous populations. In Brazil, Kenya, Tanzania and Papua New Guinea, where forested areas have been turned into offsets for industrial polluters in Europe and the U.S., people with the smallest footprints on earth have been expelled from their land (or had access limited) by companies with some of the largest footprints on earth. For this reason, most of the indigenous groups around the world oppose the REDD+ initiative as it’s currently designed. “They don’t trust the U.N. or their national governments,” says Juan Carlos Carillo, program coordinator for the Mexican Center for Environmental Law, which has been pushing for stronger protection for forest dwellers as part of the REDD+ Safeguards Coalition at the Lima conference. The last climate summit, held in Warsaw in 2013, promised that safeguards would be implemented to ensure that forest dwellers would not be rousted from their homes, and that REDD would be put to work to aid in their social development. But the guidelines have yet to be agreed upon. 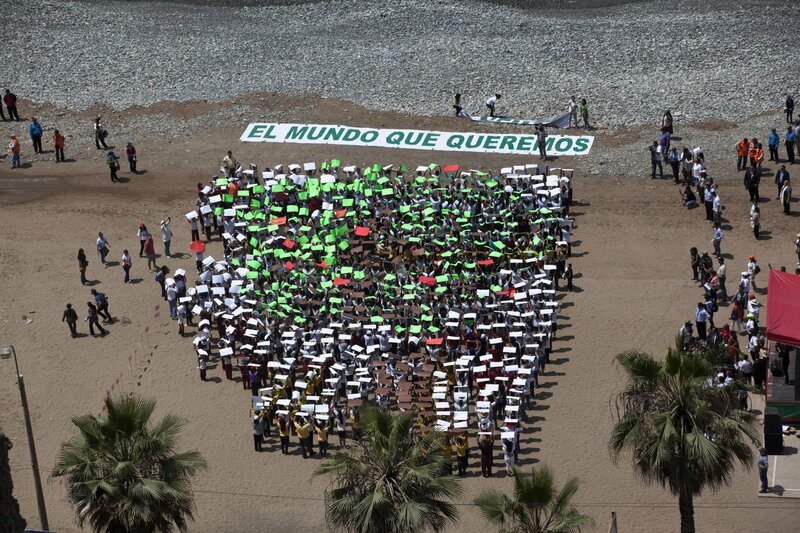 Tribal chiefs, as well as representatives of indigenous people from all of the inhabited continents, have converged in Lima to demand that their rights are protected. The U.N. estimates it could cost $10 billion to $15 billion a year for the next 10 years to significantly reduce deforestation rates around the world. As the negotiations enter their final week, the question of where these funds will come from, and how much protection is afforded people who live in these forests—which are, essentially, the Earth’s insurance policy—will be hotly debated. Asner hopes to get the information in his maps to as many people who live in the forests as possible so they can use them as leverage. He plans to make his technology widely available (at no cost) to countries with potentially rich sources of carbon in their forests as well—with the caveat that they make the information public. He’s already made that agreement with the government of Peru. The country’s minister of environment, Manuel Pulgar-Vidal, who sponsored Asner’s mapping of the country, disseminated the maps to local administrations around the country in advance of the climate summit, and also ensured they were posted online. Mark Schapiro is the author of the recently published book, CARBON SHOCK: A Tale of Risk and Calculus on the Front Lines of the Disrupted Global Economy (Chelsea Green, 2014).